Technology and descriptive choices in the JISC and HEA Open Educational Resources programme. JISC and the Higher Education Academy are collaborating on the Open Educational Resources Programme. The Higher Education Funding Council for England (HEFCE) has provided an initial £5.7 million of funding for 29 pilot projects, plus associated support activities, (April 2009 to March 2010) which will explore how to expand the open availability and use of free, high quality online educational resources. (http://www.jisc.ac.uk/oer). CETIS (the Centre for Educational Technology and Interoperability Standards), a JISC innovation support centre, is providing strategic and technical support for UKOER at both programme and project level. Technical guidance and synthesis is disseminated primarily through the CETIS blogs which are aggregated onto the CETIS website (http://www.cetis.org.uk/). 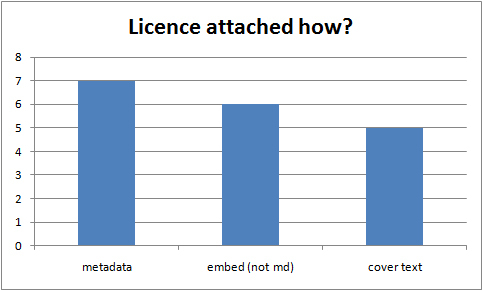 Unlike many previous development programmes, UKOER has not specified a particular technical architecture or mandated a specific approach to metadata and resource description, beyond the requirement that a few key pieces of information are recorded in some way. Technical info – file format, name & size. It is still too early to present a synthesis of how this information has been recorded but it is possible to provide an overview of the platforms, tools, metadata standards and packaging formats that projects have adopted. projects may occur more than once in any given graph. Unsurprisingly projects have gravitated to technologies they are familiar with and already had in place. 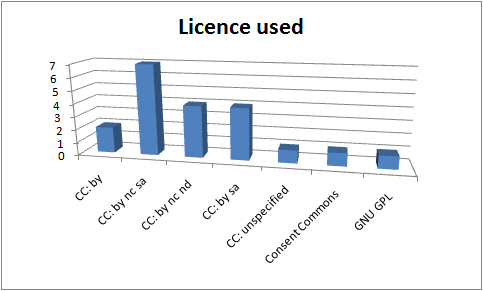 The standards used are often embedded in applications and their use is dependant on the application chosen. The feasibility of aggregating distributed heterogeneous resource descriptions is still unproven. The pilot programme points to ways forward to use both web2 applications and digital repositories and to exchange information between them. Projects have chosen multiple platforms to support different functions such as preservation, streaming and dissemination, marketing and advocacy. Projects’ technical choices primarily reflect resource management and distribution requirements – as opposed to course delivery requirements. How do these figures fit with your expectations of approaches to sharing learning content? Can the applications you are using interact with multiple different platforms and applications for different purposes? If relevant, can your content move between different types of platforms? Can your metadata? A fuller version of this position paper will be presented at the OCWC Conference in May 2010. 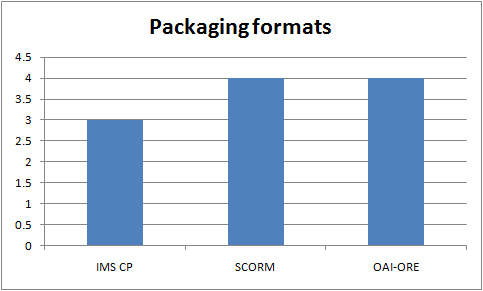 In the context of the OER programme SCORM has mostly been interacted with as a profile of IMS CP (though it utilises and profiles other standards as well). I’m not (yet) sure if mmtv decided to pursue the creation of SCORM packages, and am not clear, at this stage, if anyone is actively using SCORM or if projects are only supporting it. although most repositories can function as data providers the data harvesting aspect of the protocol often requires separate software and is much less widely implemented. OAI-PMH specifies a minimal base metadata set of OAI_DC (~ the simple DC element set) therefore any implementation of it should be able to provide this as a minimum. Other metadata standards such as DC Terms or IEEE LOM can also be made available for harvesting. 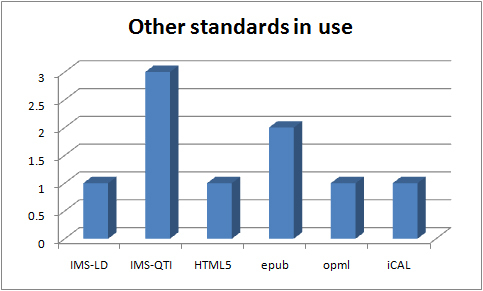 Although OAI-PMH is a well established standard which is widely used, at this point it’s use for open educational resources is somewhat limited. 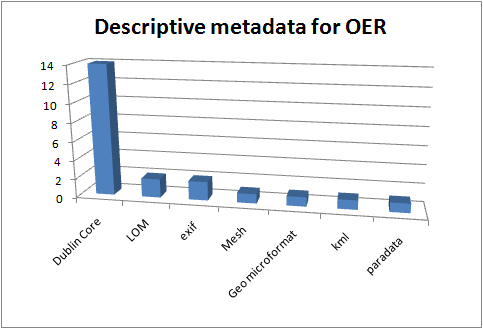 OAI-PMH is not currently in use by Jorum for metadata harvesting and, as far as I know, there are not many OAI-PMH based harvesters offering aggregated search services for educational materials (outside of those within particular closed/ or semi-closed communities). 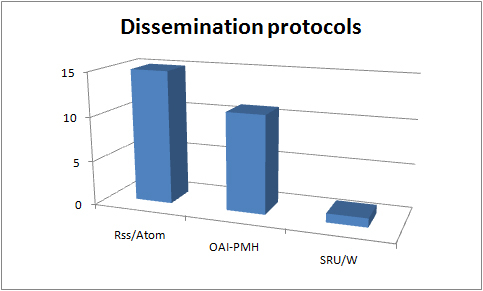 DiscoverEd from Creative Commons does offer an OAI-PMH based harvest but prefers RSS/Atom based approaches (Enhanced Search for Educational Resources – A Perspective and a Prototype from CCLearn (2009) http://learn.creativecommons.org/wp-content/uploads/2009/07/discovered-paper-17-july-2009.pdf , p12). UPDATE: Please see comment from Jenny Gray below. As a standard for describing aggregated or compound resources ORE has the potential to be highly relevant to some types of education materials made up of distributed web resources; its use, however, with educational materials has thus far been somewhat limited. 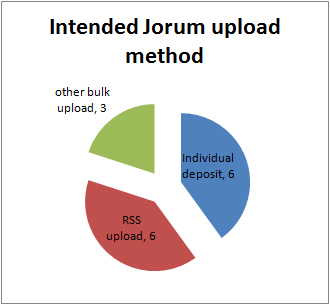 It has however been used as an exchange mechanism for moving repository contents from one system to another. IMS Content Packaging “describes data structures that can be used to exchange data between systems that wish to import, export, aggregate, and disaggregate packages of content.” http://www.imsglobal.org/content/packaging/ . In comparison to many e-learning development projects few projects in the UKEOR programme are using elearning specific technology (more on this in a future post) and as a result out-of-the-box support for CP is not prevalent in the programme. There is also only limited use of VLEs in the programme. detailed structuring seen as superfluous? Another possible reason for the relative underuse of CP may be that the functionality and features it offers to support or store structured content was not considered necessary by projects. IMS Question & Test Interoperability Specification http://www.imsglobal.org/question/ is a standard used to support the interoperability and exchange of digital assessment items (questions, answers, and data). Based on the technical conversations we’ve been having with projects, here’s a brief overview of the use of IMS QTI in the UKOER programme based on the data we have. Eight projects identified themselves as using QTI in some form. The use of QTI in these projects does not however follow a single pattern, there are three rough groups of the occurrence of QTI in the Open Educational Resources being released in the programme. FETLAR’s work builds on cutting edge development on how to use QTI with Math items.